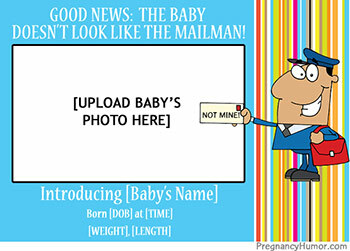 Pregnancy Humor is a — you guessed it — HUMOR site celebrating the funnier side of being pregnant with original jokes, cartoons, top 10 lists, funny charts, and humor columns from moms-to-be, as well as videos, news stories, photos and quotes curated from around the Web. We launched in April 2013 and are just getting started ’round here! So please… sit down and rest your tired, swollen feet and join us for some belly laughs. Because, really, what better way to welcome your little one into the world than surrounded by smiles and laughter? 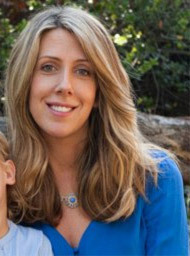 Candy Kirby is the founder, publisher and chief waste management technician for Pregnancy Humor. A former television writer, Candy is now a new mother struggling to figure out how to transform a beer keg into a Diaper Genie. So if readers should come across a dangling preposition or, heaven forbid, wonder why she hasn’t posted the celebrity baby bump du jour, please do not send a nasty e-mail until Candy finishes tapping the Diaper Genie. Also be sure to label the subject heading “Nasty E-mail,” so she knows not to open it. Currently a humor columnist for outlets such as Redbook, Nickelodeon, HelloGiggles, eHow and Disney, Candy previously was a professional job hopper in Corporate America, having worked at several top public relations agencies in New York City, as well as in brand management for the Fortune 50 Company, Boeing, in Seal Beach, Calif. She then took the next logical step in her marketing career to become a staff writer for the CBS daytime drama, “The Bold and the Beautiful,” where she penned many scripts featuring prolonged heated stares and countless “Who’s the Daddy?” story lines. However, nothing on television could rival the juicy real-life drama of becoming a parent, so Candy decided to publish her own Web sites about the journey and other news that her cats think is blog-worthy. Candy has a Master of Science degree from Northwestern University’s Medill School of Journalism, just outside of Chicago. Born and raised in another major city, Mechanicsburg, Pa., Candy now resides in Los Angeles with Mr. Candy, their two young kids, and their ridiculously fluffy cats, Lucy, Lola and Larry. Yes, Candy is her real name. No, she has never been a stripper, prostitute or Scottish Terrier. Can’t believe everything you see in the movies, people. Except that all telephone numbers begin with the digits 555. That’s true. Candy loves to hear from readers. Feel free to e-mail her at Candy@pregnancyhumor.com or call the Pregnancy Humor hotline at 555-4321.